Olga Igorivna has found a new school and has started on September 1st, 2007 to study at Kachovsky state agricultural technical school. 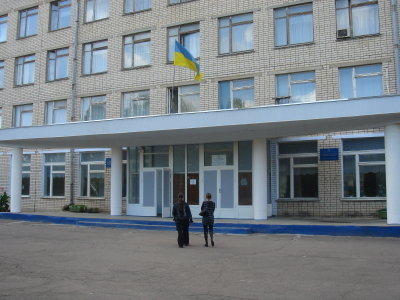 She decided to go to this technical school in Kachovka, rather than to the school in Snigurivka, because it is closer to where she used to live. Olga is doing a preparatory year before starting technical school. She takes lessons in math, physics, Ukraine and English language, Ukraine and foreign literature, chemistry, biology and world history. Quite a comprehensive list of subjects, isn’t it? 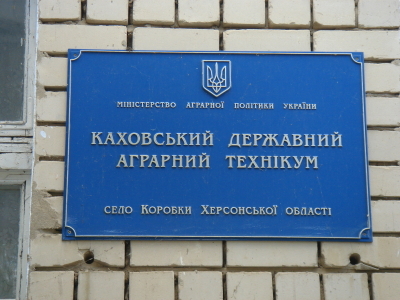 In 2011, when she will graduate from Kahovsky State Agricultural Technical School, she will have a diploma as ‘технолога пищевой промышленности’ which translates to ‘technologist of the food-processing industry’. Olga Igorivna can even live on site and has received a single room that she managed to re-decorate herself. It looks pretty good, doesn’t it? You can read a previous article about Olga here.